More Hubble Features, and More Often! Here at Zooniverse HQ we’ve been thinking a bit more about those “fuzzy blobs” we talked about during our last hangout. 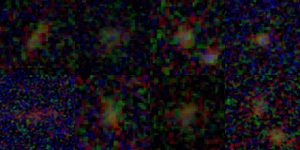 Many of those faint galaxies are among the most distant objects we’ve ever seen, so we really want to learn about how they’ve formed and what they look like, but in some cases they are just too faint to get a really detailed classification. We can probably learn what their overall shape is, and possibly tell whether they’re disturbed or interacting, but spiral arms? Bars? Bulge strength? Not likely. For these objects, the classifications we already have are enough to tell us everything we can learn from these images. So we decided to use your tags on Talk to help us figure out what galaxies we should declare “done” for classification purposes. Combining the #toofainttoclassify and #fhb tags with some of the information in the photometric catalogs for the CANDELS sample helped us decide which Hubble galaxies needed more classification and which were finished. After this analysis, it turned out that we were ready to retire about 25% of the CANDELS sample! That’s a lot of clicks collected, and they’ll all be put to good use as we turn to the science questions, such as looking for the signs of mergers in the early universe. 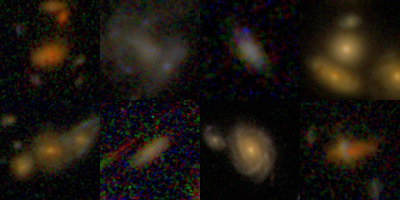 And it’s also a lot of clicks saved — by putting those galaxies into early retirement we can focus the attention of our dedicated volunteers on images where they can identify more detailed features. So your tags and discussions on Talk are helping us to make the best use of your classifications: thank you. Or perhaps something nobody’s ever seen… you never know what you might see next. PS – During the analysis to find the faint, fuzzy things, I also figured out how to identify most of the bright, ultra-compact things: in other words, the stars! We found about 1,500 stars and other point-like objects in the Hubble images that you can’t really get a detailed morphology from, so we declared those finished too. Yes it does; many thanks! I am so glad the tags are helping like the #fhb one. Thanks for letting us know that we are helping out science.